4-Tec 2.0 VXL 4WD TQi TSM w/o Body, Battery & Charger | RC Mester, din radiostyrte butikk på nett. The 4-Tec 2.0 VXL’s Velineon brushless power system defines a whole new generation of outrageous electric power that doesn´t know limitations and boundaries. Pour in the voltage and out comes the speed in tidal waves of force harnessed by precision throttle control. For the uninitiated, prepare yourself... the sheer brutal power combined with the 4-Tec 2.0 VXL chassis’ four-corner grip results in tire-melting acceleration and lightning fast speed. 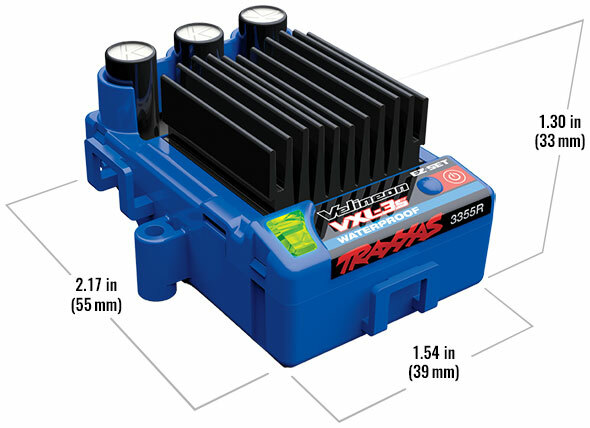 The Velineon 3s brushless power system features system components that work together as an optimized package, from the patented Traxxas High-Current connector to the custom-wound motor. It´s engineered together from the start to deliver the ultimate in efficiency, speed, and run-time along with precision throttle response and refined control. 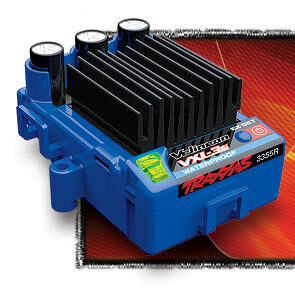 It´s brushless performance the Traxxas way: wicked fast and easy to use. Just plug it in and it works, no special knowledge or programming skills required. 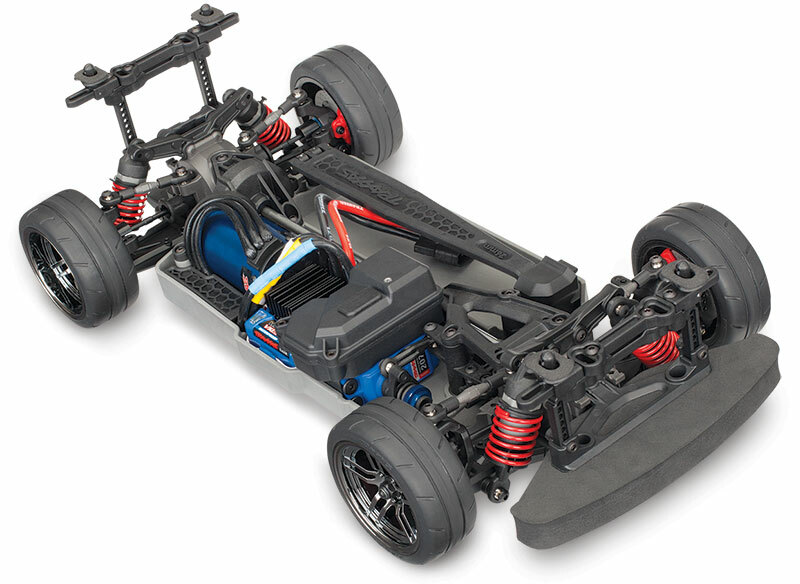 Traxxas Stability ManagementTM (TSM) lets you experience your 4-Tec 2.0 VXL´s extreme power, speed, and acceleration by making it easier to control on slippery surfaces where traction is not ideal. Go ahead, punch it off the line! TSM senses the vehicle’s direction and makes steering corrections to provide full throttle acceleration without fishtailing or spinouts. 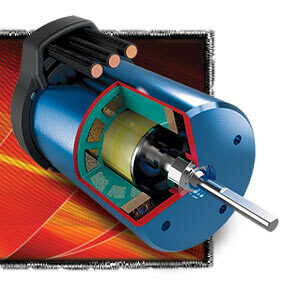 When cornering, TSM intuitively corrects the 4-Tec VXL´s line for faster exit speeds. TSM even improves braking by keeping the car arrow straight until you reach a complete stop. TSM does all this without intruding on driving fun or introducing unexpected side effects. TSM can be fine-tuned (or turned off) for different surfaces by simply adjusting the multi-function knob on the TQi transmitter, or by adjusting the slider in the Traxxas Link app. 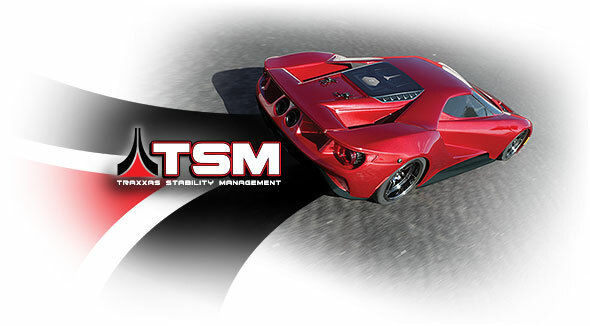 Drive faster and have more fun with TSM. You may not even realize how much it is helping until you try to drive without it. 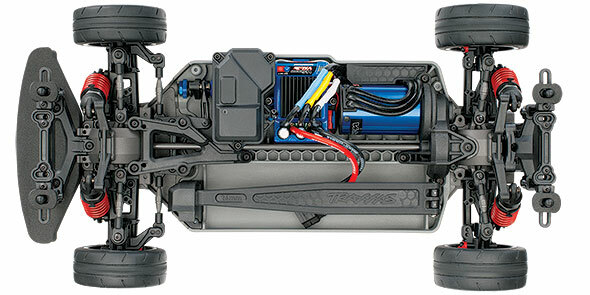 The Traxxas 4-Tec 2.0 VXL rolls out of the box pre-assembled with a factory-adjusted TQi™ 2.4GHz radio with TSM, Velineon brushless power system, and detailed instructions. Choose your own body, battery, and charger (sold separately) to create your custom ride. Traxxas backs the 4-Tec 2.0 VXL and all of our products with top-notch support that is second to none. A staff of skilled representatives is on hand to answer your questions via phone, website, or e-mail. Unmatched parts support keeps your Traxxas vehicle running strong with parts and support from thousands of hobby dealers worldwide. Traxxas goes the extra mile to ensure that your R/C experience is easy and fun--and fast!